Paul Tuller studied with Robert Meadow to learn the basics of Japanese hand tool setup and use. 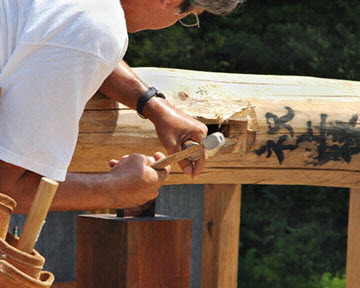 He also attended several workshops with Makoto Imai, master temple and tea house carpenter. These two teachers inspired Paul to pursue a full time career doing Japanese style woodworking. Through 25 years of personal study and practice, Paul has mastered the skills needed to use Japanese hand tools effectively. In 1986 Paul became a juried member of the League of New Hampshire Craftsman. 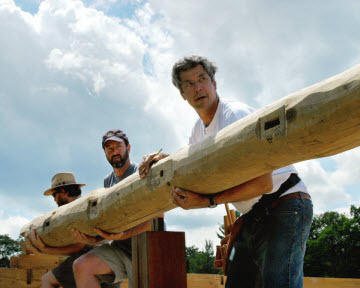 He is also the co-founder of The Guild of New Hampshire Woodworkers. He has taught numerous students at workshops and through apprenticeships. His love of working with Japanese tools is evident whenever he is teaching. Students of any age may contact Paul about private lessons or group workshops. "Japanese hand tools are one major source of inspiration for me. When you have a beautifully designed and handmade tool you cannot help but want to put forward your best effort. 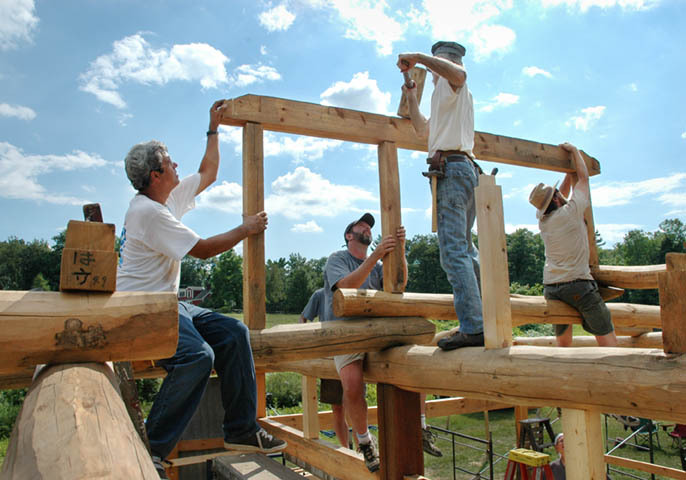 If you master hand tool use, you can build anything you can imagine. You are not limited by what is possible to set up on a machine. With a box of basic hand tools, you can do quality work anywhere on the planet."